Dr. Pergert is a pediatric nurse specialist with over 10 years’ experience in pediatric cancer care. She received her doctoral degree in pediatric science at the Karolinska Institutet, and currently works as a leader of the Childhood Cancer Health Care Research group at Karolinska Institutet, Stockholm, Sweden. The group perform research in two closely related areas 1) intercultural care and 2) clinical ethics. Intercultural care includes studies with health care professionals, patients/parents and interpreters regarding health care encounters with cultural and language barriers. Clinical ethics includes studies on ethics case reflections in the health care team as well as studies on the ethical climate and moral distress in pediatric cancer care. 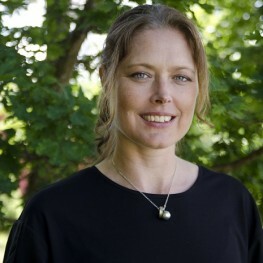 Furthermore, she has experiences from the management team; developing, offering and evaluating a national advanced educational programme in paediatric oncology nursing in Sweden since the start in 2003. Since 2012 she is responsible for this programme at the Karolinska Institutet.